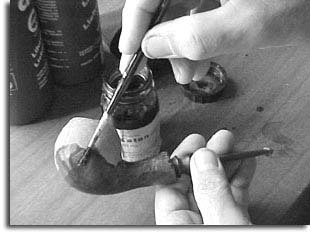 There is a certain art in carving a pipe by hand. There is also a certain degree of luck involved as briar is by its very nature is not perfect by any means. As it grows underground, it is attacked worms, it swallows a large amount of sand and other foreign matter during its 30 years of growing till harvest. 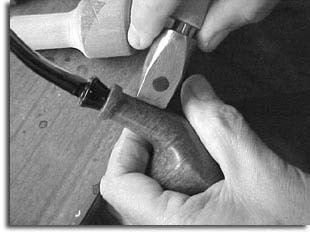 The advantage of carving a beautiful pipe from a the briar block by hand is that I can not only follow the grain in the block, but I can also work around and avoid any small sand pits or other imperfections. 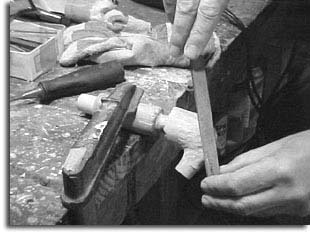 The following photos will take you step by step through my hand carving process. 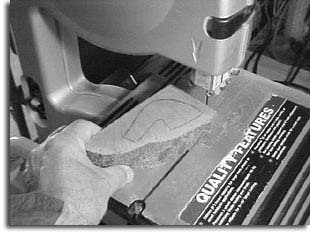 I use a small cutter on a fast spinning Dremel tool in the same fashion one would use a carving knife. 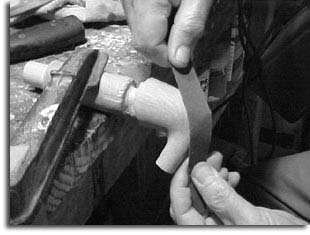 That way I have better control of the carving process and the final shape of the pipe. I spend best part of the day on any single pipe providing there are not any unpleasant surprises, such as hitting a small sand pit at the last stage of sanding, which I can not work around. In that case the pipe will find itself in the waste basket ... end of story. 1. Selected block of briar is marked with the pipe's outer shape to best utilize the grain within the block. 2. 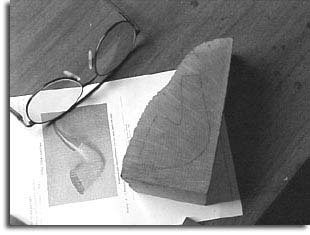 The marked shape is then cut on a band saw. 3. 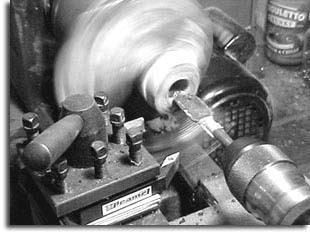 Then I drill the smoke canal and tobacco chamber using a small lathe. 4. 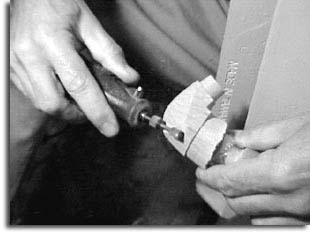 Following the grain, the bowl is shaped using a fast spinning cutter mounted on a Dremel tool. 5. 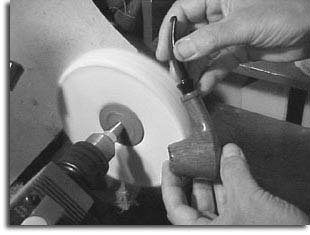 Files are used to finally shape the bowl and shank. 6. Lots of fine sanding and sweat goes into each pipe. 7. Pipes are stained and then sanded back to lift out the grain. 8. Finally they are given a polish with natural Carnuba wax. 9. After a quality inspection the shank is stamped. 10. 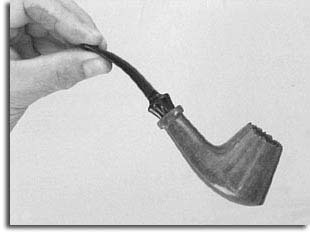 And there your are, a pipe anyone will be proud of!